Battle Creek, MI - From their humble beginning in 1946, in a small downtown office in Michigan, Dare Products has become a cornerstone in the industry–offering a full line of electric fencing equipment and other related agricultural products. Founder, Robert Wilson, was a visionary who saw the need for a more convenient method of selling electric fence wire. 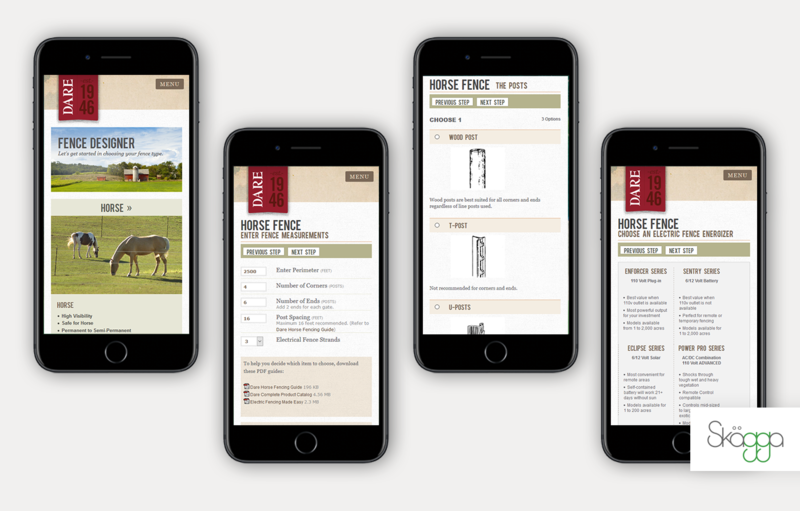 Following in Mr. Wilson's footsteps, Dare Products, in collaboration with Skagga, Inc. is glad to announce the new mobile-friendly, online electric fence designer! The new mobile-first UI allows for the complete design of electric fences for all types of animals and environments entirely on your mobile device. Start designing your fence at dareproducts.com/fence-designer. The primary goal at Dare Products is to provide a more convenient and economical method of electric fencing to farmers and ranchers. With the popularity of hobby farmers and first-time horse owners, they are continuing this trend with an IMPROVED fence designer tool.